You may have heard of Anoka, Minnesota – one of a few towns in the USA (like Salem, MA and Independence, KS) where the Halloween holiday is a very big deal, attracting tourists from around the Midwest. Reading about Anoka, or even visiting it, you may also have heard of the Anoka State Hospital, an abandoned place so shrouded in mystery and fear, that even “ghost tours” won’t go near its inner tunnels. What is this place like for the “urban adventurers” who try to get inside? Why are people so afraid? And what is it about abandoned mental hospitals? There are some areas of the human mind, and indeed of the world we live in, that were never meant for investigation. There are always those who delve into the darker worlds of knowledge, and many pay with their sanity for their interest. Some of these unfortunates are taken in by the Hayward Foundation, an organization that studies paranormal experiences and their effects on humanity. It is cases such as these that are sent to a restored mansion in a small coastal town in Maine, a center for the care and study of the insane. Ten episodes of this naturalistic audio drama series were written by Matthew Baucco and David Johnson, and produced by Last Minute Productions, a loose confederation of audio dramatists that evolved from a Bloomington, Indiana-based improv group. John Weber, the show’s sound designer, credits the dulcet-toned radio producer Richard Fish for helping light the creative fire of Hayward Sanitarium, and connecting the group to Andy Trudeau at NPR. (Fish, of course, has done virtually everything possible in audio theatre, including work with both Norman Corwin and The Firesign Theatre). Airing on NPR in 1994, (after a local debut a year earlier), and again in 1997, the existing episodes now can be freely downloaded or played from the Hayward Sanitarium website. While the group that produced Hayward is no more, many involved continue to work on audio drama, namely poet-sound FX wizard Tony Brewer. Scripts that round out the original storyline are now available as well. 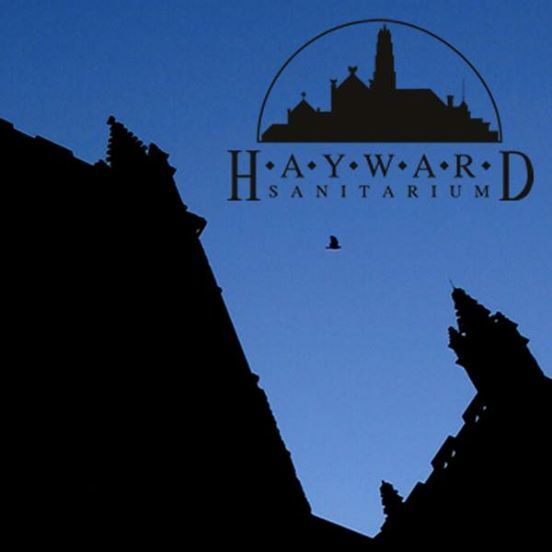 Visit the Hayward Sanitarium website to listen.